The 10th annual McDonnell Music Festival Concert is Saturday, Sept. 16, from 2 to 6 p.m. at the Elks Lodge on Cronin Road in Queensbury. Info: www.curefa.org. The event is organized by musician Dave McDonnell, frontman of the Marcabes classic rock group, and his son Dylan. It benefits FARA — the Friedreich’s Ataxia Research Alliance. 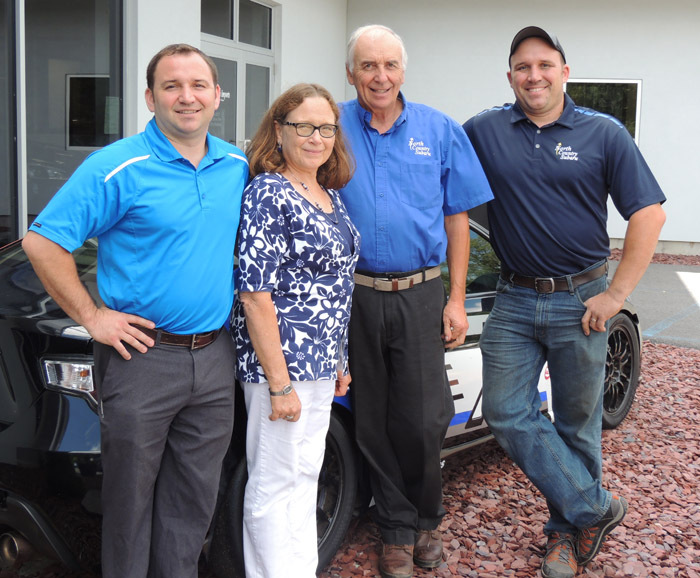 Ken and Christine Lendrum, center, started North Country Subaru in 1976. Their two sons, Eric, left, and Jared, are now vice presidents of the company. Chronicle photo/Gordon Woodworth. Click to download North Country Subaru’s 40th Anniversary Salute as a PDF. Ellen Apperson Brown of Virginia has written a book — John Apperson’s Lake George — about her great-uncle, the pioneering Lake George environmentalist. It’s coming out in May.